Quiet, Cordless AC Power - ANYWHERE You Need it! 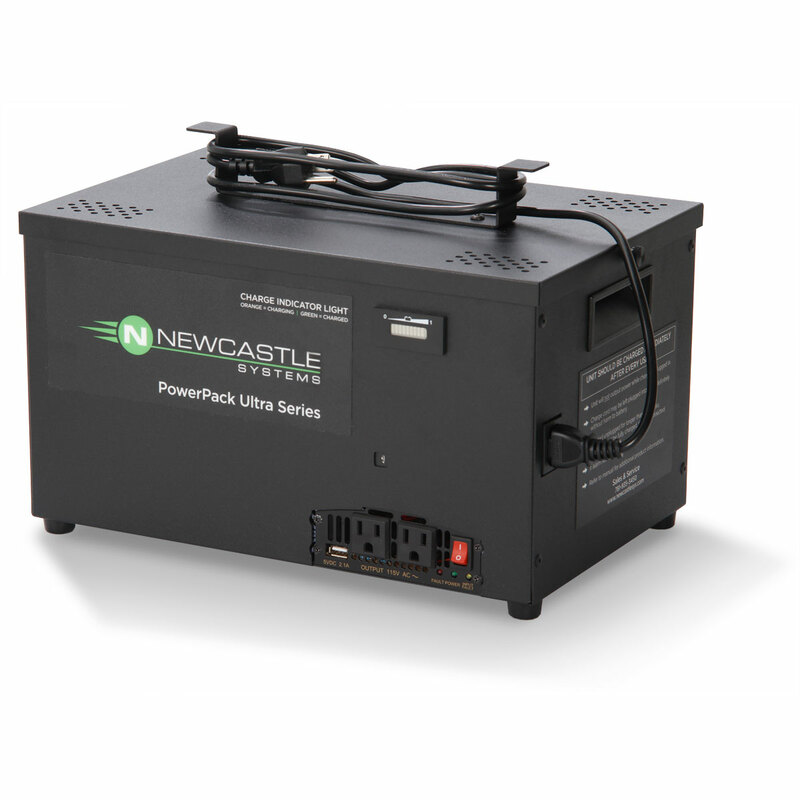 The PowerPack Ultra Series Portable Power System provides seamless AC power for 6-8+ hours at a time. 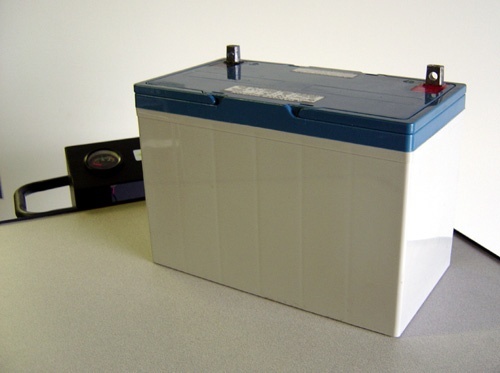 These lightweight, compact units are ideal for powering a laptop and barcode printer. 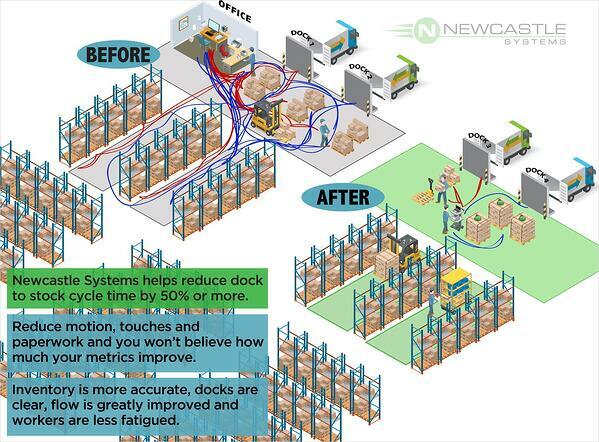 At the end of use, simply plug the unit in to a standard wall outlet to recharge. Eliminate the need for hazardous extension cords or costly cable drops. 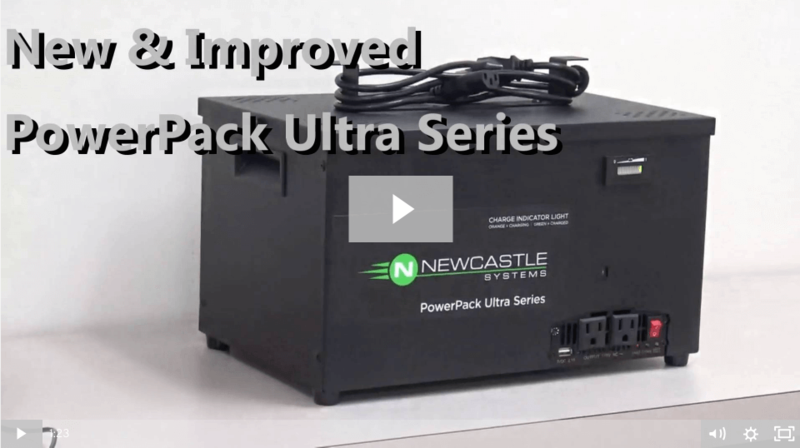 All PowerPack Ultra Series Portable Power Systems listed below come standard with integrated power outlets, USB port, visual & audible low voltage alert, easy grip side handles, and integrated cord reel holder.